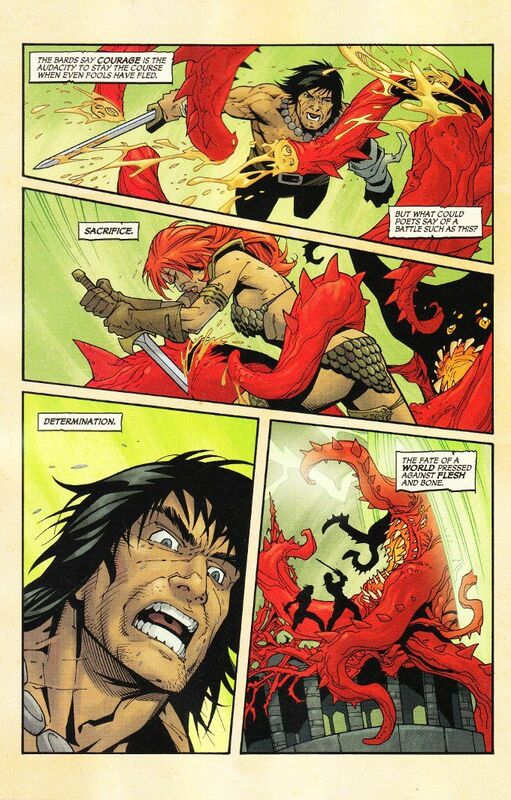 Thrown into the arena and warned that they must fight to the death or see their respective homelands destroyed, Conan and Red Sonja are in dire straits. 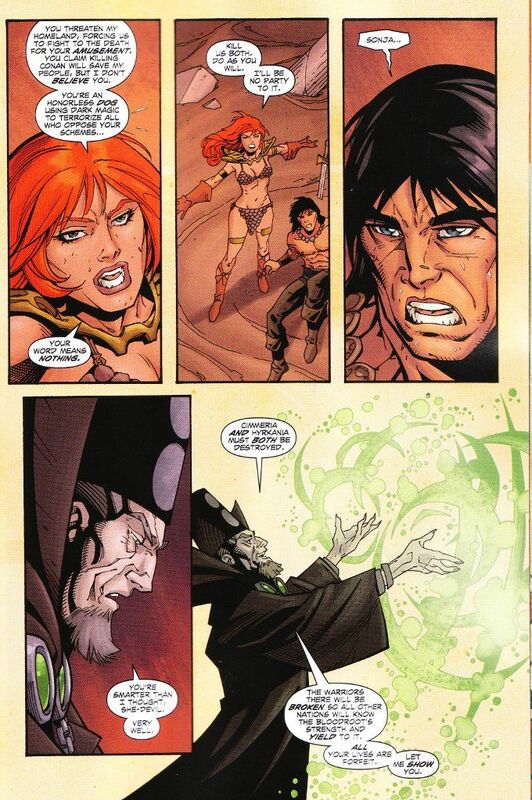 The dread wizard Thoth-Amon seems to have the two barbarians at his mercy. But there is little the two will not do to save all of Hyboria from the otherworldly menace of the Bloodroot plant. Such is the path which turns mere warriors into heroes. Gail Simone and Jim Zub have spun one hell of a ripping yarn with this series. And this issue proves an epic and satisfying conclusion to the tale. And yet... it isn't satisfying at all. I want more tales of Conan and Sonja together. I want this to be a monthly series. Like Thoth-Amon starring into the Outer Dark, I must see more! Randy Green and Rick Ketcham deliver some truly great artwork through this issue. There are individual panels that are reminiscent of the layouts of John Buscema and the creature designs of Barry Windsor-Smith. And yet, the artwork is still its own unique creation for all its welcome familiarity.